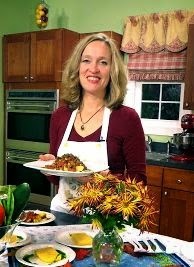 I was in production mode today preparing food for the Fresh from the Garden Raw Picnic tomorrow, which will be part of Foodbuzz.com's 24, 24, 24 this month. 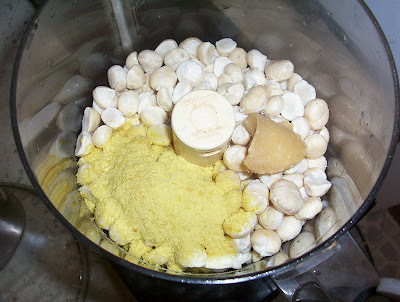 I started by soaking the macadamia nuts in water overnight to soften them up and remove the enzyme inhibitor. After draining and rinsing them, I put them in a food processor with mellow white miso, nutritional yeast, garlic, lemon juice, olive oil and sea salt. I pulsed the mixture together just until crumbly, then gradually added more water to get a semismooth paste. I then added some dried and fresh herbs, black pepper and a drizzle of olive oil. 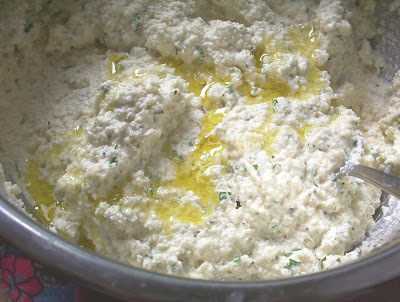 The result is an Italian inspired creamy ricotta-like filling that tastes rich, but is not heavy. Onto the cannolis. 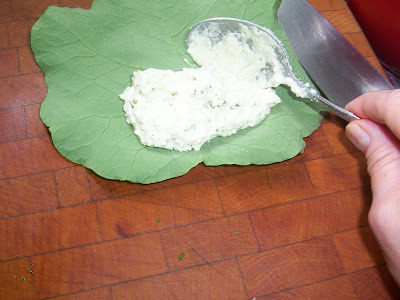 . . First, I spread about 1 heaping tablespoon of the cheese along the bottom end of the leaf. Then I rolled it up like a burrito (or in this case, little cannolis). Tomorrow, I will be laying them on a platter and garnishing with lovely orange and yellow nasturtium blossoms. Can't wait!! 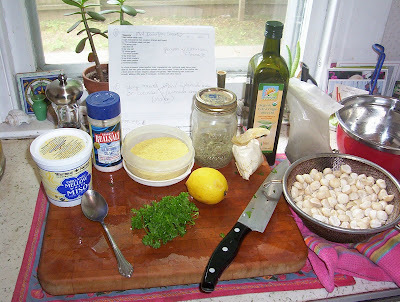 In a food processor, pulse together miso, macadamia nuts, lemon juice, olive oil, sea salt, garlic and onion powder into a thick paste. Empty into a bowl and add remaining ingredients. 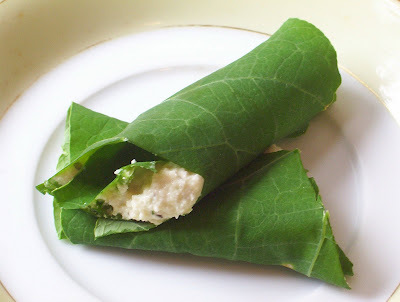 The Nasturtium Cannolis look delicious and they were so yummy. 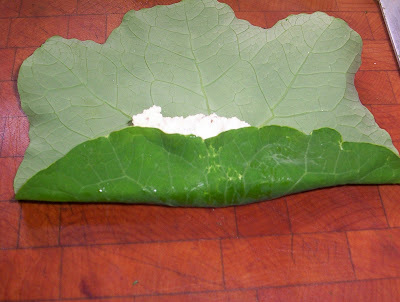 I never knew that you could eat Nasturtium leaves. I thought you could only eat the flowers. What a surprise and how tender the leaves were! What a delightful and refreshing summer treat! That is an interesting use of flowers and leaves of the Nasturtium: for food. They looked and tasted unusually good. I hope you place this item on the menu for the Guilford Diner. I knew you could eat the nasturitium flowers, but didn't know about the leaves- I can't wait to try! Mary, can you expand on "removing the enzyme inhibitor" part? What is it, and why does it need to be removed? Nuts naturally have enzyme inhibitors on them to prevent premature germination. When you soak and rinse them, this is removed and the enzymes become available. Enzymes aid in digestion and availability of the nutrients in the nuts. I enjoyed the picnic and these cannolis were very good. The community garden was an inspiration to me as I tried my hand at gardening this year.